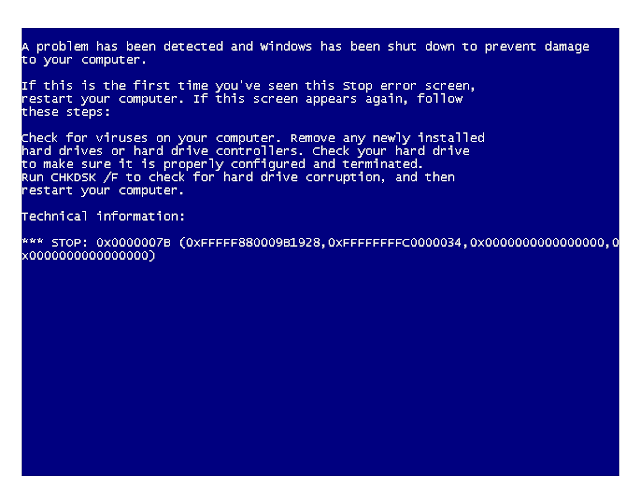 A few months ago I posted about getting a STOP: 0x0000007B blue screen of death on one of my VMs after restoring an image backup from UrBackup in Xen 6.5. 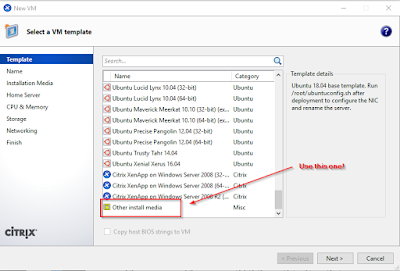 My solution then was to create the blank VM that we were restoring to using a Windows XP template. Well, the other night I was migrating all of my old Xen 6.5 VMs to a new Xen 7.1 cluster, and that troublesome VM popped up again! 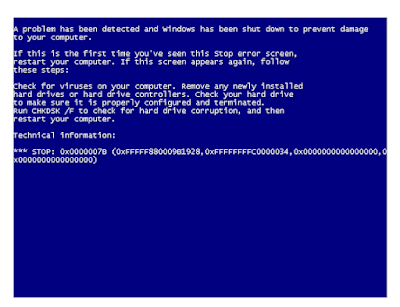 I got another BSOD when I powered it up in the new cluster! The trouble this time is that Xen 7.1 doesn't have a Windows XP template! Damn it! No problem, I did find a solution. 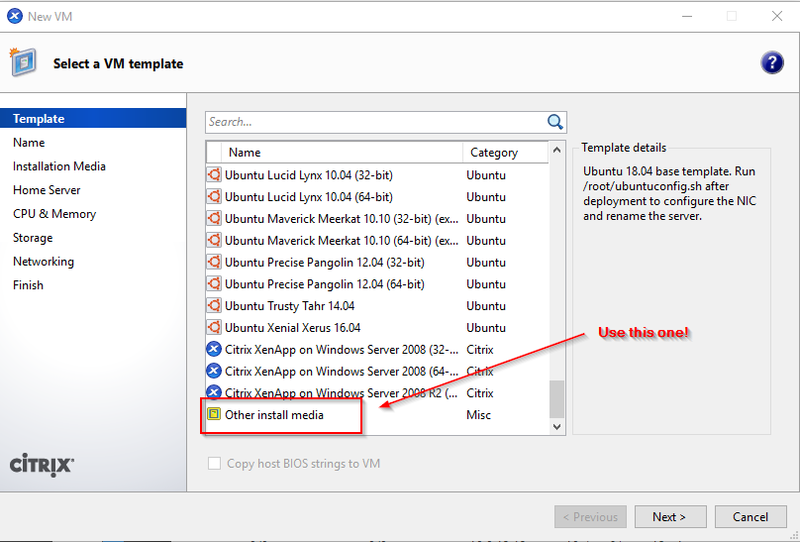 If you are getting this error for one of your VMs after moving, upgrading or restoring to Xen 7.1 or newer just use "Other install media" template located at the bottom of the templates list. After using that template, and attaching the original disk it booted up just fine!